Description Ecdysterone L-Leucine is a potent supplement to provide a lean muscle mass gain without estrogen driven side effects. It is purely composed of the Beta Ecdysterone extract. This extract is actually found in arthropods or in the roots of some plants as well. The 20-hydroxyecdysone has a natural origin and radically supports the muscle building activity. 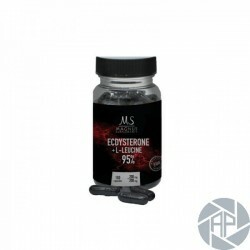 L-leucine is a branched chain amino acid that radically activates the protein synthesis for the muscle mass enhancement. Other ingredients include magnesium stearate and Gelatin. 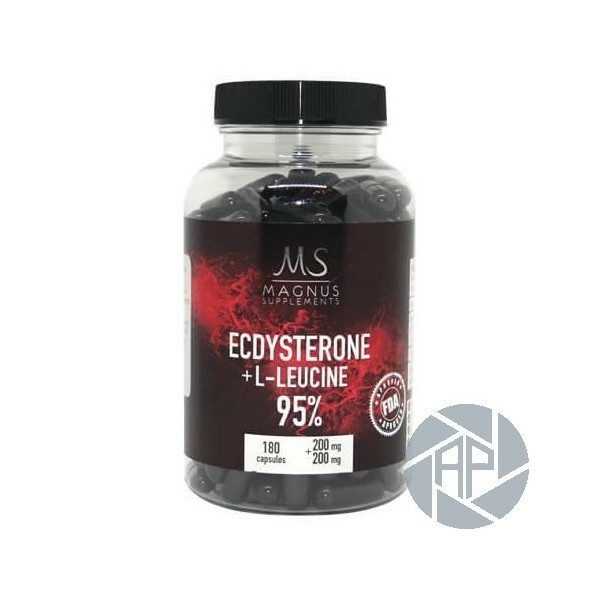 This supplement provides an extreme level increase in muscle mass the leucine works along with the other essential amino acids and actively helps in the stimulation of protein synthesis leading to an accentuated muscle tissue growth. Magnus: A prestigious pharmaceutical company providing premium quality medicinal products to Asia, Africa and Middle East since 2003. This drug must be used by both male and female athletes for fat reduction in combination with a reduced calorie intake. This nutritional source helps in gaining dry and hard muscle mass. It provides high metabolic rate. This estrogen blocker facilitates the elimination of the surplus fluid from the body and protects the body from an unwanted subcutaneous fat. The rapid delivery of muscle growth is all that a body builder wants to have during the defining periods. It is ideally recommended for people who choose to do exercise every day to get a maximized strengthening effect. A survey or research done on the speed skaters in 1986 has proved that Ecdysterone can drastically improve the working capacity and stamina. No testicular shrinkage is observed with this supplement. It is completely safe as it does not cause gynecomastia and hypertension. Ecdysterone is intended to offer an amplified glycogen storage and upgraded mental performance. Improved cardiovascular well-being is maintained with a fundamental value addition in the physical function. Users don’t have to worry about excessive water retention and fat aggregation or bulky muscle mass with this supplement. All you need to have is a suitable dosage of ecdysterone and follow a low fat diet to get a shredded physique without bloating. For the dieting phase, it is recommended to take two capsules twice a day preferably with meals. The optimal cycle duration is 4 weeks. This natural alternative of anabolic steroids provides similar effects with almost insignificant side effects as it is considered healthy for liver and reduces the blood glucose levels and helps in the balanced cholesterol profile. There is no noticeable difference in the serum testosterone level is evident by using this supplement. No significant effect on triglycerides. No changes in the stress hormones or cortisol levels.